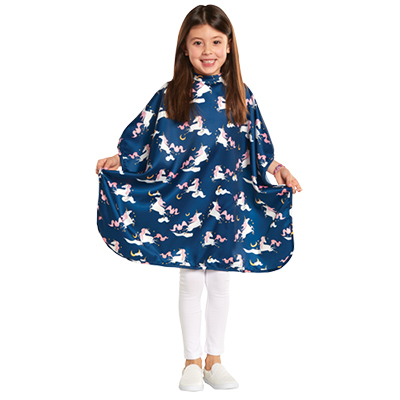 100% premium polyester kiddie cape features an on trend unicorn pattern. 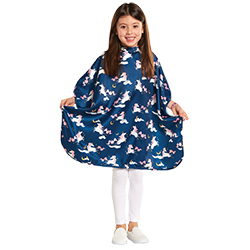 This lightweight cape is water-resistant, static-free, and machine washable. Snap neck closure. Measures 29" x 36".